I first tried to get to the Dragon Rally in 1976 when I still lived in North Wales. Regrettably the adventure was cut short a couple of miles from home when I and the bike parted company on a wet corner. Minor damage was sustained to the Suzuki B120P but my self-confidence was severely dented so that was the end of it. I have tried several times in more recent years but have been deterred by bad weather; however 2017 was to be the year I succeeded – well, sort of. For the uninitiated the Dragon Rally is organised by Conwy MCC who seem to have done so since time immemorial or 1962 (almost the same!). 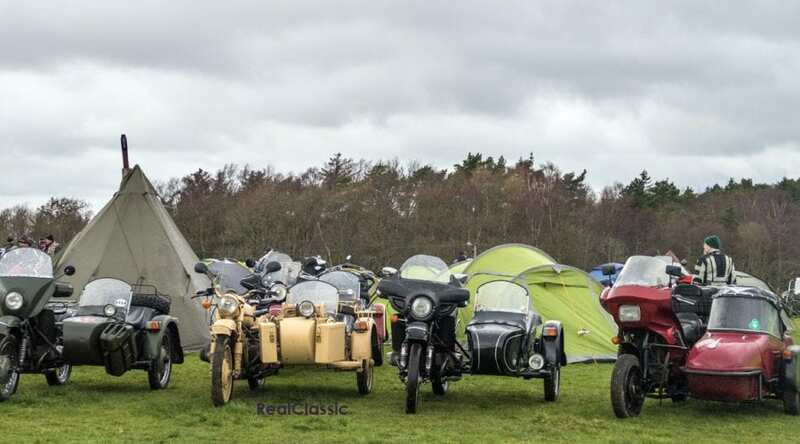 The rally involves camping out overnight in or on the outskirts of Snowdonia, for motorcyclists only – no other vehicle is permitted – in the middle of winter. Strange as though it may seem, the concept is embraced wholeheartedly by a large number of attendees each year. This is where I have to make an admission – I didn’t camp. I visited for a few hours on the Saturday to take some photos and collect my goody bag. Yes – I know I’m a lightweight but until tents have en-suite facilities, central heating and a flat screen TV then camping will not be for me. The adventure started at the services just off the A55 near Bangor where a large number of rally goers descended en masse. 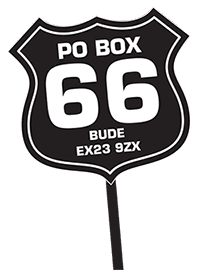 This caused the registration process to be somewhat protracted – in fact the marshals couldn’t remember when so many had arrived so early. One explanation was the unseasonably warm weather and don’t be fooled by the gloomy skies in the photos. A temperature above freezing and rain instead of snow is practically tropical in this part of the world in February. 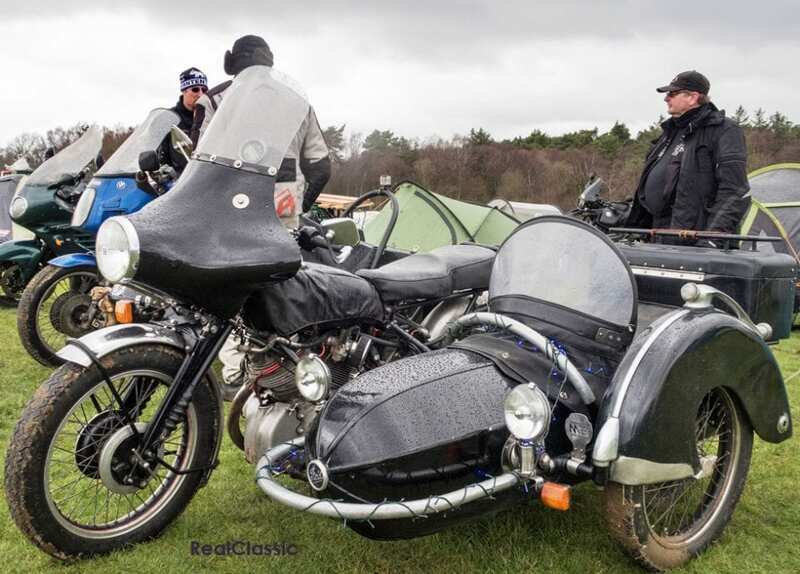 It may not have been snowing near the coast but the owner of this 1971 BSA A65 came from Manchester and had camped the previous night in Betws y Coed, waking up on the morning of the rally surrounded by the white stuff. 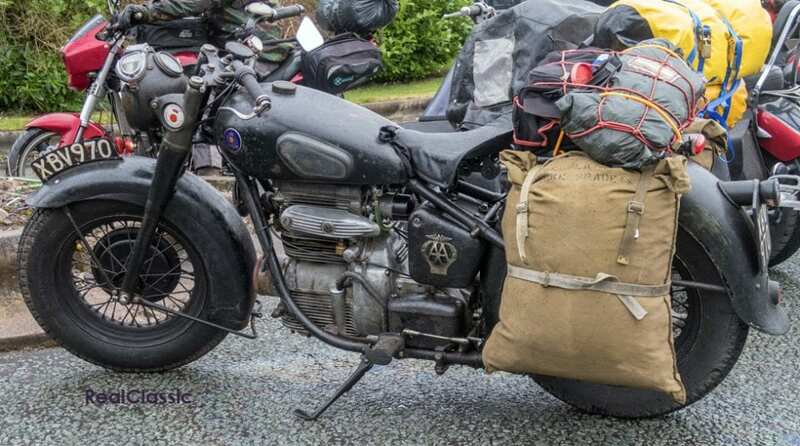 Even someone with my limited mechanical knowledge can see a vital component was missing here; this outfit had a ‘BSA Austin’ badge on the back so presumably a car engine was concealed in the voluminous sidecar. 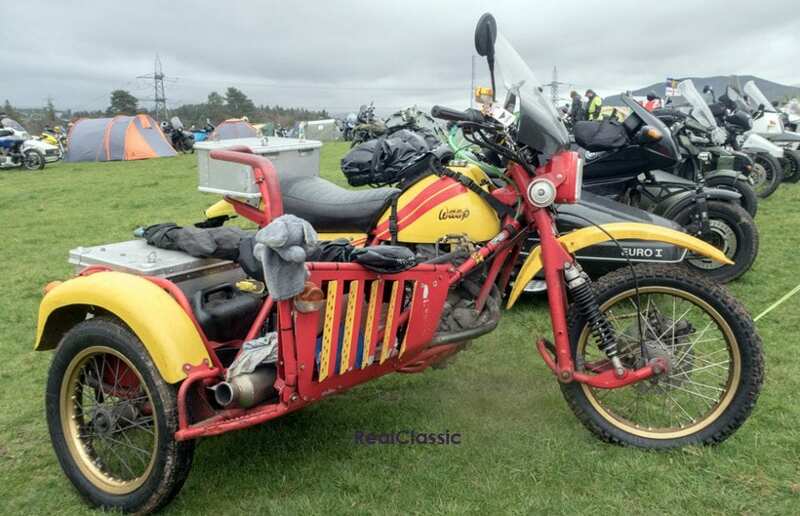 Several common themes became apparent, the first being that rallyists’ classic bikes are not trailer queens but meant to be used. The owner of this 1948 Sunbeam S7 told me it was called ‘Rusty’ but it was practically pristine compared to some of the other machines on show. Another theme was the amount of kit that was packed on some of the bikes. 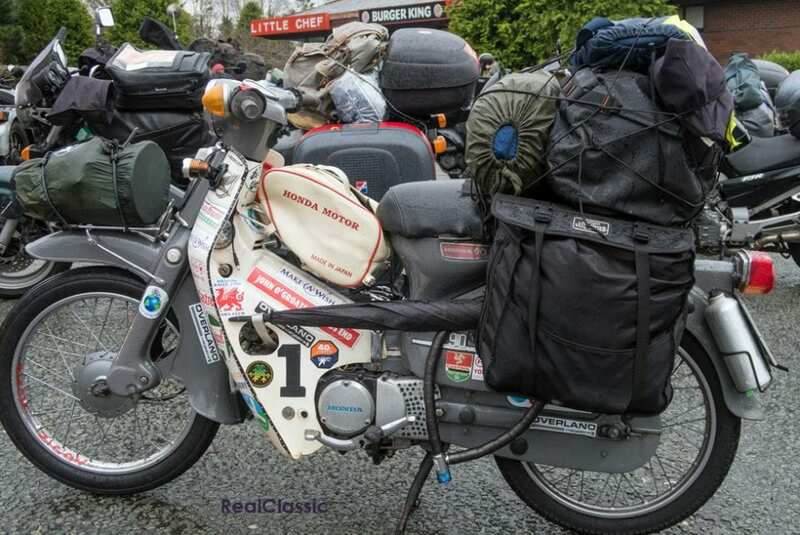 In terms of engine capacity to camping gear ratio this 1980 Honda step-through must be a clear contender for a rosette. 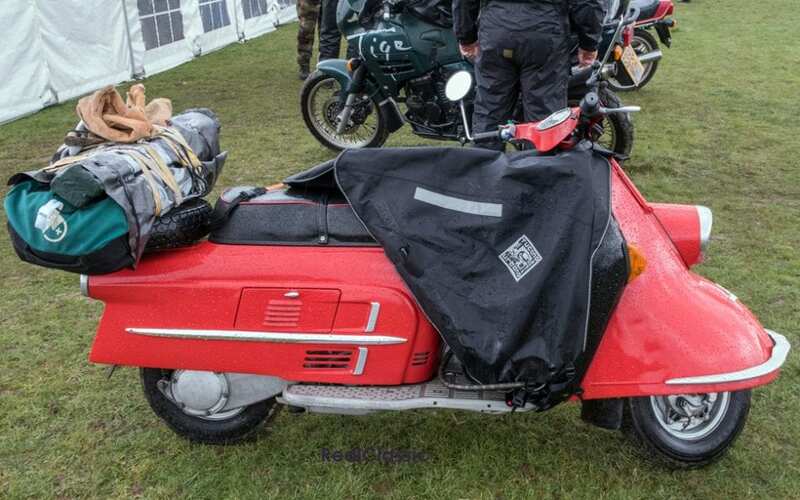 Note the carefully secured umbrella and the drilled engine plate, presumably done to save weight. 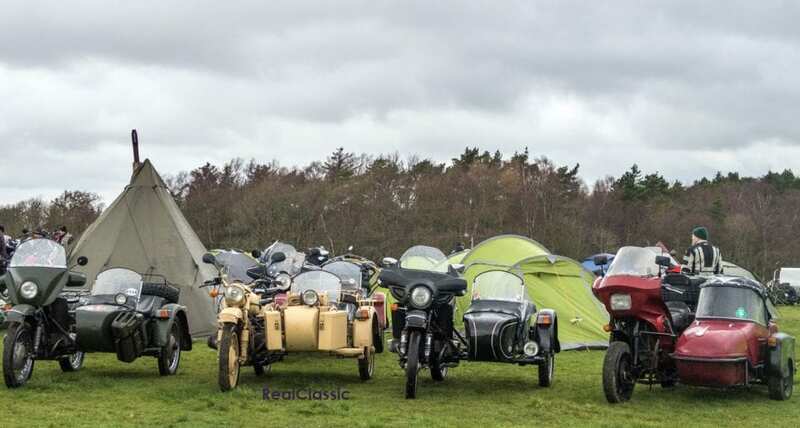 Never have I seen so many outfits in the same place at the same time – sidecars were everywhere, many filled to the gunnels with the aforementioned camping kit. 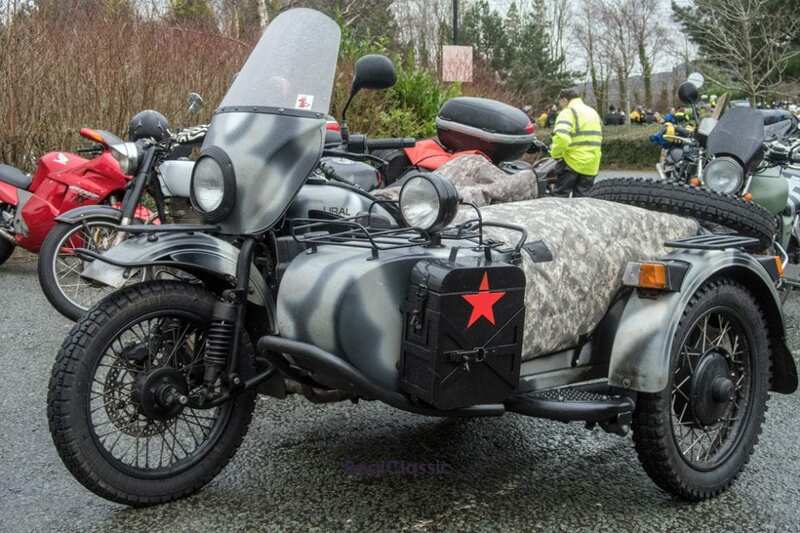 The old favourite sidecar tugs like BMW were in evidence but there were also a lot of Urals on display, this one perhaps having been rescued from the Red Army. One of the more exotic outfits was this Wasp, a marque started by Charles Rhind-Tutt in the 1960s when he began making frames and sidecars for grass track racing. 5000 frames and 40 Wasp models later he still appears to be going strong, having built frames for motocross, road race and speedway bikes as well as bespoke and replica parts. Perhaps a testament to Wasp was that this one had come from Germany. There were also machines from France and Ireland in evidence so the attraction of the Dragon is clearly international. 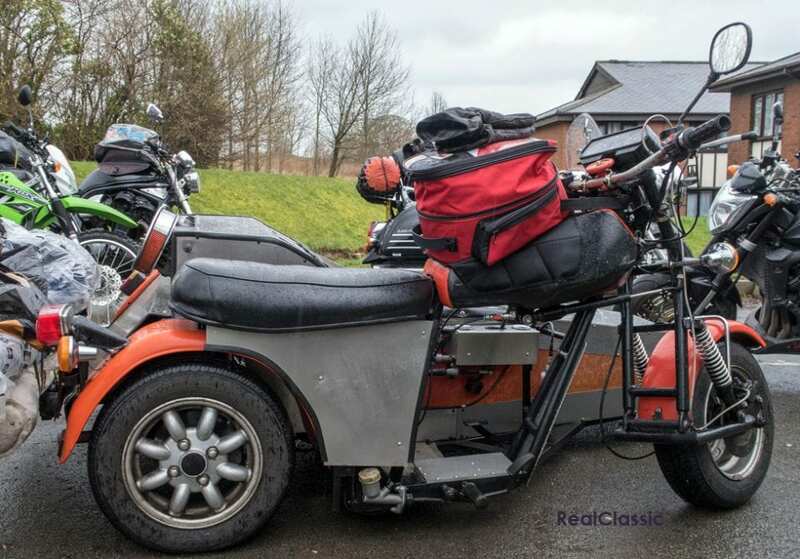 Engineer and designer Chris Castell set up Austel Engineering in Maidenhead in 1985 after he had built a Mini-engined 1000cc motorcycle for his own use in 1981. After this came the Mk2, called the ‘Lotec’ because it was low tech, in turn followed by the Pullman 1300, the prototype appearing in 1987. It’s estimated that 11 production Austels were made, ten before Castell’s death and one after and this is an example you see here. 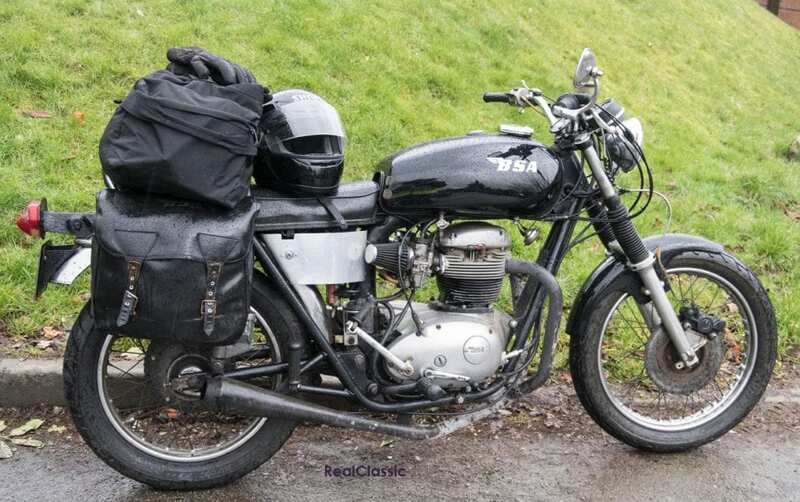 Features included a full duplex frame with box-section swinging arm, 1300cc engine, twin front disc brakes, single rear disc, a front mounted radiator and a manual gearbox with hand change. I saw not one but two Vincent outfits, this 1953 example having come from Aylesbury. The owner was seeking Jacqueline Bickerstaff – aka PUB – who I had chatted to at the registration and who had come with Alan the day before. Cleverly they had left their bikes outside the field and would have avoided the off-road experience I had to get Tessie the Hinckley Triumph back on tarmac. There’s a few more photos from the event but cold and rain meant I didn’t linger too long. I have to say I greatly admire those riders who were hardy enough and had sufficient fortitude to camp at the Dragon. 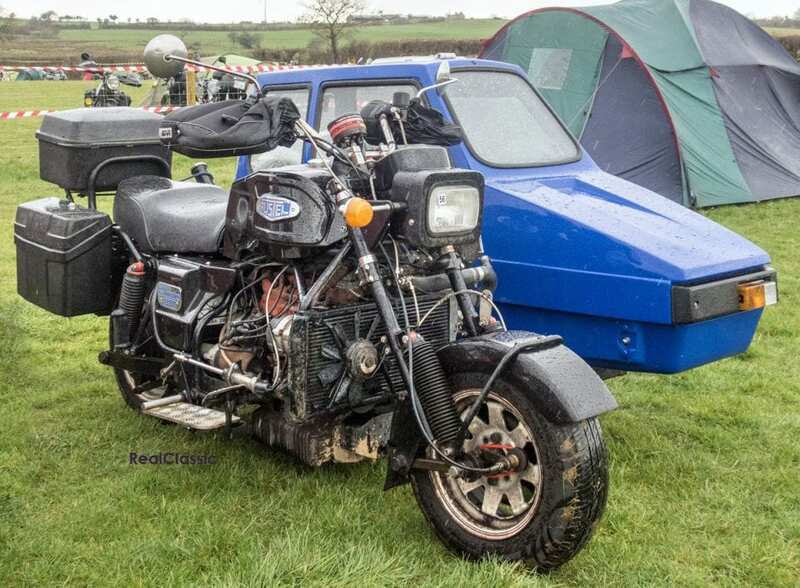 It’s clearly a popular event with motorcyclists from both the UK and further afield and long may it continue.